The High Water Mark (HWM) Initiative is a community-based project whereby municipalities design, coordinate and implement a HWM project. The HWM initiative involves: 1) installing a sign/marker in a highly visible location, accessible to the public, that shows the elevation of past flood events and future projected sea-level rise; and 2) identifying climate change “mitigation” actions the municipality can implement. 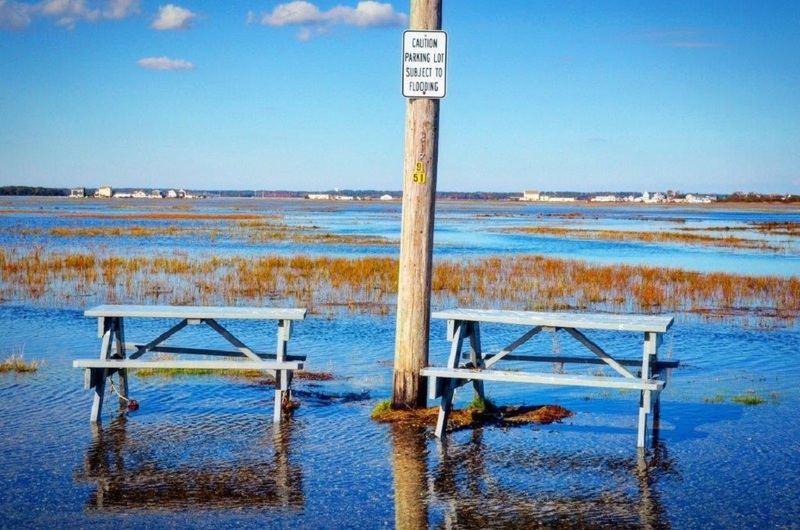 The Rockingham Planning Commission (RPC) is working closely with four municipalities (Portsmouth, Rye, Hampton, and Seabrook) and other key stakeholders, including FEMA and state agencies, to install at least one and no more than two high water markers in each community.